Class 3c from Cheswick Green primary school in Solihull visited Birmingham Botanical Gardens on 18th May 2017. This is the report on the day by their teacher, Marnie Chana. 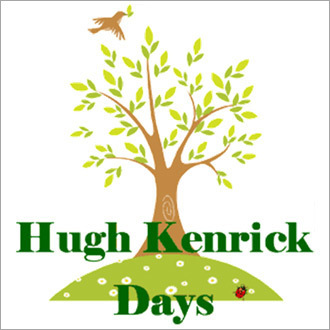 Cheswick Green were so fortunate to have received £400 funding from The Hugh Kenrick Fund for a trip to the Botanical Gardens. Not only was entry free but most of the transport cost was paid for. The children had an amazing day out with the weather being kind to them as well. As part of our river studies topic, the children took part in a range of activities. The class were divided into two smaller groups and then took part in 2 very well prepared and resourced activities. The two activities enabled the children to find out about what creatures live in land and water and how these animals adapt themselves to their natural habitats. This link with our science topic on plants and animals enabled the children to understand what animals live in water and land around our school environment. One of the most important parts of the learning was the children’s realisation of how important it is to look after their natural surroundings. As quoted by a child ‘These animals need to be treated with care and we need to look after their homes’. Cheswick Green also took part in a whole school art project – The Big Sleuth, where the children had to create and decorate different types of leaves which then were collated and stuck onto our school bear ‘Chesney Green’. The walk through the greenhouses and the wooded area inspired the children as they had such creative ideas after seeing the variety of plants when decorating their leaves. This huge sun bear model will soon be part of an exhibition around Birmingham. This trip has been so valuable as there are so many curriculum links from geography – finding out about the rainforests to maths – teaching children about area through leaf sizes. Visiting the shop was great as the children had to be responsible for their own money and purchase their souvenirs, here learning about the value of money and using their personal social skills in real situations. Getting back to school has inspired the children to take a more active part in their school garden. The visit to The Botanical Gardens has encouraged us to use our outdoor learning areas more and take our learning outside where children can be close to nature. A great trip full of varied learning experiences for each and every one of us. These Kenrick days offer children such a wonderful experience. Thank you. Year 1 from Oasis Woodview Academy visited Birmingham’s Martineau Gardens on 28th & 29th March 2017. This is the report on the visit by their teacher, Ruth Holmes. We visited the gardens, one class on each of the above days, to enhance our science topic on plants. Before the visit, children were taught about ever-green and deciduous trees and they had a basic introduction to the parts of a plant. In the orchard, we learnt about different fruit trees and looked for signs of spring – blossom and buds. In the glasshouse, we learnt about the parts of a plant and pollination. Jahvae and Khaled liked being the butterfly and bee. Hayden had asked earlier: “What is fertilisation?” He understood much better after this activity. In the woods, we learnt to identify trees; we found horse chestnuts, ash, oak and yew. The children enjoyed working with partners, blindfolded, to ‘meet a tree’, and also loved bark rubbing. Walking back to school, children noticed some bees going in and out of the blossoms on a magnolia tree – “They are looking for nectar,” said Husnain – he’d previously thought bees got honey from flowers. Back at school, we have planted some lettuce seeds, sunflowers (in pots) and seed potatoes. We have discussed what the plants will need to help them grow. We have been predicting how long they will take to grow and how successful they will be. As spring moves into summer, we are hoping to grow some herbs too. The children have described Martineau Gardens as “beautiful” and “so pretty”, so we have been thinking about how we could make our playground more beautiful and discussed the importance of tidying up litter, looking after the flower beds etc. The visit certainly consolidated much of the work we have done in school, as well as teaching the children more about plants and the environment. They all greatly enjoyed the visit and I think that, as well as learning about specific plants, they have an enhanced appreciation of the natural world. You can apply for a bursary by downloading an application form. This also sets out some ideas on getting the most out of your visit.